An increasing amount of drive thru restaurants and convenience stores are focusing on improving meals on the go. However, packaging isn’t always matching the high level of food, often having a negative impact on the experience. 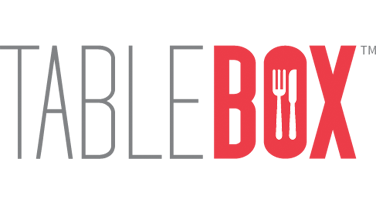 Tablebox is focused on providing packaging that makes eating on the go in to a positive experience separating the drive thru chain from its competitors. The snack combo box enables guests to carry the beverage and snack in one hand. It is ideal for guests who need to carry food or are just walking around when enjoying the snack. 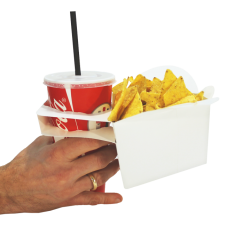 It comes in different sizes making it ideal for nachos, popcorn, chicken strips etc. Freeing a hand increases the probability of an additional purchase. 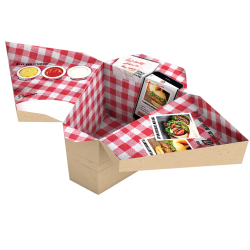 The Tablebox is a combined food carrier box and lap tray enabling the guest to eat larger meals in the car. Making the guest comfortable when eating drive through increases the probability of a returning customer. The kids version activates the children in the back seat with games etc. ensuring less stains. 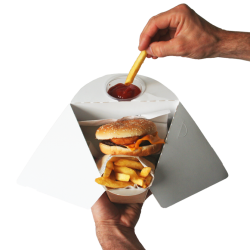 The protected french fries box with build in dipping opportunities separates the eating experience from competitors. It comes with a dip self service feature or a dip cup holder version. 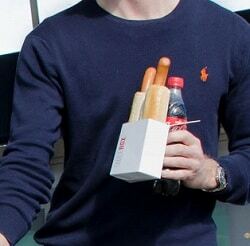 The unique hotdog sleeve is a good way to accommodate the hungry consumer on the go. It enables them to easily carry a combo meal from the sales point. The solution is an excellent branding platform and for either main sponsors or internal marketing.  Combining food and drinks increase sales as the choice is already made for the consumer.